Seventy-two of the world’s best women amateurs will compete at the inaugural Augusta National Women’s Amateur with New Zealand’s Wenyung Keh accepting an invitation to be one of them from April 3-6 in Augusta, Georgia. compete over 54 holes of stroke play, with a cut to 30 players taking place after 36 holes. The first two rounds will take place on the Island and Bluff nines at Champions Retreat Golf Club. The entire field will then get the chance to live every golfer’s dream and play Augusta National for an official practice round on Friday before the final round takes place at Augusta National on Saturday, April 6 featuring those who made the cut. remarkable amateur career, and so much more,” said Fred Ridley, Chairman of Augusta National Golf. Along with Keh’s rise to 76 in the World Amateur Golf Rankings, her performance at the inaugural Women’s Amateur Asia-Pacific in Singapore last year where she made a four-way playoff was a large contributor to being invited after showcasing her talent against the best. Keh was a member of the 2018 International Arnold Palmer Cup team along with the famous Washington Huskies team who won the 2016 NCAA Championship where Keh collected three vital wins during the match play finals. The Augusta National Women’s Amateur was announced on Wednesday, April 4, 2018, by Augusta National Chairman Fred Ridley during his annual press conference at the Masters Tournament. The event was established to inspire greater interest and participation in the women’s game by creating a new, exciting and rewarding pathway for these players to fulfill their dreams. NBC Sports will produce and broadcast three hours (Noon – 3pm ET) of live final-round coverage of the event at Augusta National. 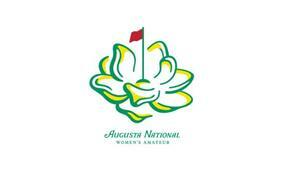 Tickets to the inaugural Augusta National Women’s Amateur are sold out following an online ticket application process. channels (@ANWAgolf) across Facebook, Instagram and Twitter.